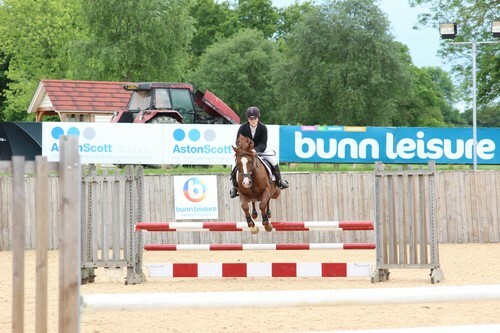 Lead Photograph: Odin at Hickstead in the 1.10m class. Credit Jasmine Hemming. What a mad month! I think sticking my fingers in my ears and going ‘la, la, la’ perhaps wasn’t the appropriate response to my impending A-levels of doom – especially given the AAA entry requirements of University of Birmingham! My revision timetable is proving a good decision, although I would be lying if I said I wasn’t using it as an excuse to go competing because ‘I’ve already done my revision for today’. Somehow, we found the time to actually go competing and training throughout the month and Marcus Aurelius (Aurelian x Fiesta Magica) and his kids, including the brand new one, were fantastic all month! Let me start with the youngest. 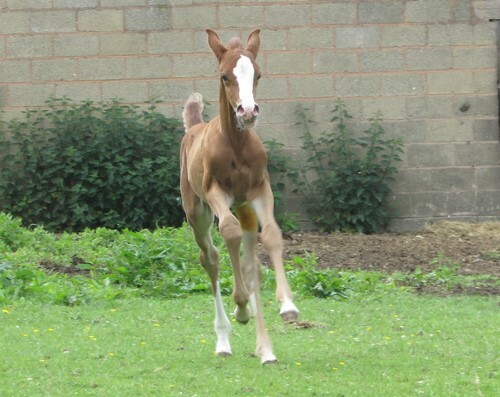 ‘Mickey’ (Marcus Aurelius x Sabheeha Bint Krayaan) was born on Tuesday 23 May, a week before ‘Sammy’, or Audas Encore (Marcus Aurelius x Avonbrook Green Rose), celebrated his second birthday. Mickey arrived before I went to school and I missed the first half of my last ever English lesson with my legend of a teacher, Mr Winters, but it was worth it because Mickey is a magnificent and cheeky little man who has really grown on us. It was a difficult start as he didn’t get up and tried to check out near the beginning, but a couple of enemas and some blocked meconium later, he ceased the dying swan impression and entered our lives for real. 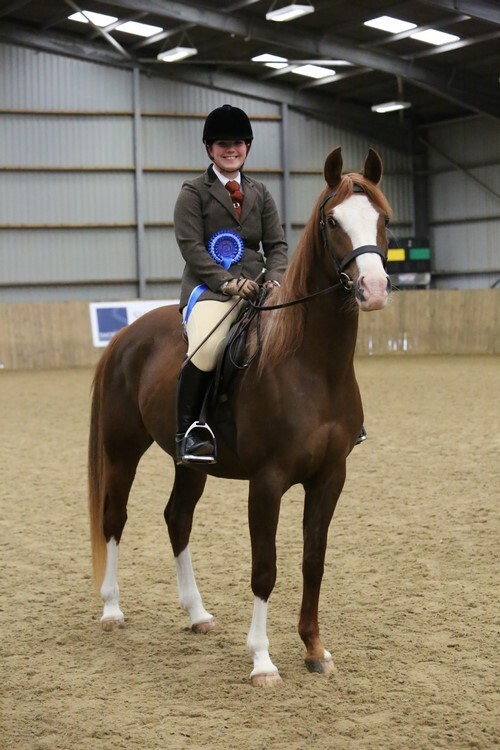 Although not strictly an achievement in May, seven-year-old Princess Penny, or Annia Aurelia (Marcus Aurelius x Bint Zaehaebi) to give this mare her full name, excelled herself as a show pony at the Midland Arab Group Spring Show at the end of April. It was her first affiliated ridden party and Penny did us very proud, coming second in a strong pre-novice class with a pleasant, if little green, performance. She is an exciting one for the future and my trainer, Erica Watson, has pinned her as a future eventer although I am making her very cross by not letting her join the ranks of my big boys just yet. Penny is, however, slowly getting her way and I’m searching for a free day to take her cross-country schooling which will, of course, be a huge honour for me – the resident crash test dummy of Avonbrook Stud. Penny with her rosettes. Credit Simple Photo Shots. Avonbrook Silver Augury (Marcus Aurelius x Caveland Calypso), or ‘Prince’ has been pulling his weight as a serious showjumper with a big future by jumping consistently well at Senior Newcomers, 1.10m-1.20m, although we really must work on keeping all of the fences up! The problem is that he finds it so easy, I have to continue on my mad trajectory of confidence boosting to keep up. I am currently jumping Prince in Newcomers classes at multiple venues before we step up to Members Cup, 1.15m, and Senior Foxhunter, 1.20m. Not content with being a one-trick pony, Prince has also been schooling me around the BE100 and Novice, 1.10m, cross-country fences at Broadway Cross-country Course. I was also planning to take him to Sapey for his first unaffiliated 90cm one-day event before he evidently got into an argument with another horse and received a cut on his shoulder, meaning that I benched him for the next week. My money is on Penny, green-eyed monster that she is. Patience is a virtue, Penny! 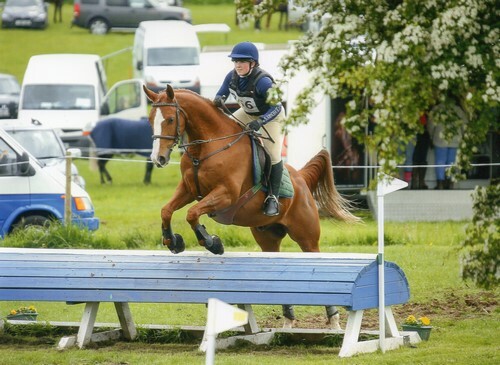 Prince at the 1.10m Newcomers at Moores Farm. 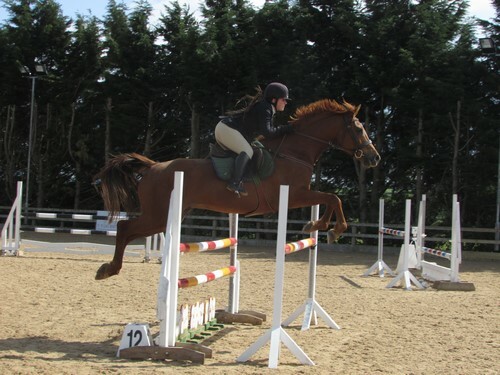 Lucky girl that I am, Odin (Marcus Aurelius x April), Avonbrook Odin, was the fittest that we had ever seen him and I took the decision to chuck him in at the deep end in his first ever event around the full up but fair 90cm track. After a pleasant but tense dressage of 37.5, Odin jumped one of only eight clears showjumping and had a silly 20 penalties at the water to put us out of contention. Without the jumping and subsequent time penalties, the course was lethal enough that we would have been third, but it was a fantastic day and a brilliant experience nonetheless. Odin was easy to spot on course with his tail flying at full mast, and he was a very smooth ride so I think I may have found myself another little event horse! However, I am not the best cross-country rider. My bad habit of not breathing found me out after number six; the coffin (fence – ditch – fence) where I promptly decided to start coughing and heaving in-between fences. Clearly the pressure was far too much for my internally screaming brain as my left nostril dripped blood over poor Odin’s shoulder during the latter half of the course. He heroically ignored my many attempts to keel over and die, and finished with a full tank of gas, ears pricked so that they were almost touching. Having qualified for the National Schools Equestrian Association (NSEA) Eventer’s Challenge Finals at Hickstead earlier in the year, I made a plan to get the aqua-phobic Odin used to water. It was going really well, he eventually went through the water at Sapey and cantered straight through the water on Lincomb’s canter loop. Huzzah! However, the real thing proved too much for him and we are now back at square one although none the worse for wear. Two team members also had faults, so I wasn’t able to beat myself up about letting my team down among all of the other decisions I was beating myself up about. As I was told by my friend Jazz Hemming, who came to groom for us: “experience is what you get just after you needed it”. Curse me and my ‘schooling head’! Hickstead, although at the end of an incredible month, proved to be the highlight of May. After a long trip down from Worcestershire almost to Brighton, we set up camp on Saturday evening and worked Odin and Marcus Aurelius, the legend himself, in the warm up for the International Arena. Under threat of a lifelong ban from Hickstead, and probably a few gypsy curses, we were not allowed to set foot or hoof in the main ring, so looking through the famous arch from the warm-up ring had to suffice for now. I had four classes on Sunday, all showjumping in the Bunn Leisure Arena, for Marcus’ 80cm and 90cm classes, and Odin’s 1m class. Marcus was an interesting ride in the 80cm. He hadn’t been out jumping in a long time, so obviously Hickstead was the ideal place to get back into the swing of things, especially with a class so small that he could make his own entertainment in-between and over the fences. Being the only stallion, and an Arabian stallion at that, out of hundreds of horses and ponies, there was a bit of hype generated; “oooh it’s the stallion”, “Didi get BACK! That’s a stallion!” and the classic “Mum, what does the white tail ribbon and badges mean?” Marcus, of course, took it all in his stride and was his usual impeccable self, not fussing when ponies were brought a bit close and enjoying all of the attention from team managers and ring stewards, one of whom refused to let us go in until she had given him a pat. What a shame he kicked out the Hickstead planks and did a healthy dose of showboating when all eyes were on him. He was much more rideable in the 90cm but had a fence down, complaining that there weren’t enough fillers and the poles weren’t heavy enough. Naughty boy! Odin wound himself up a bit when separated from his dad but managed to focus when in the ring, just having the Hickstead planks in the 1m class. To be fair, they were light and flimsy, and they had two planks to make the height so were very gappy. I just came in a bit forward and he flattened, a typical lack of experience, and control, mistake. 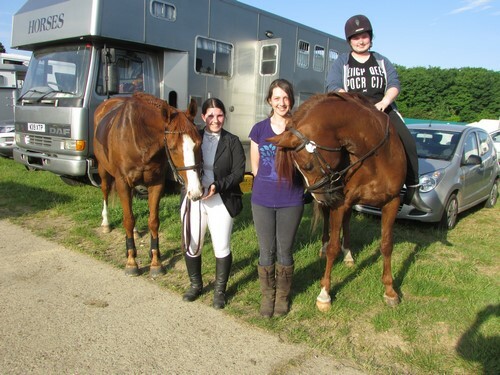 As the arena was running 90 minutes late – and there was a mad rush that involved me running the half marathon to the arena while my sister Becky and Jazz tacked Odin up and Jazz rode him over – the1.10m was held in ring and wow, it was huge! At the time of entering, I thought it would be the ideal first 1.10m for Odin as I didn’t think they’d build as ‘up to height’ as British Showjumping courses. I will admit that I was wrong. After the shaky start of having the first three fences down, we hit our stride and flew around the technical course, a huge confidence boost for both myself and Odin. 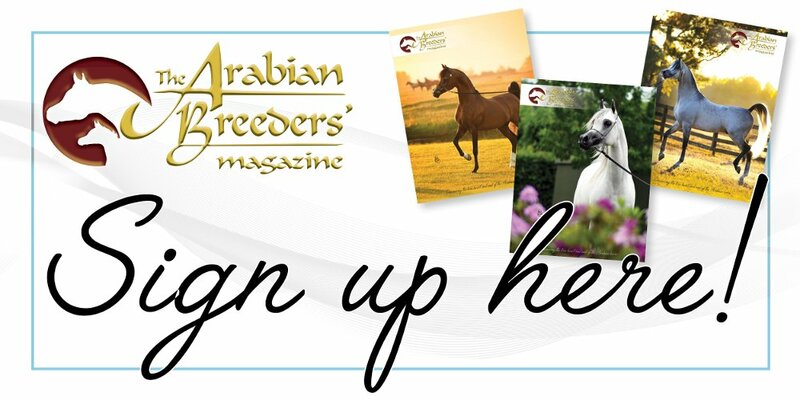 So now that’s two Marcus babies, both part-bred Arabians, jumping in 1.10m classes!